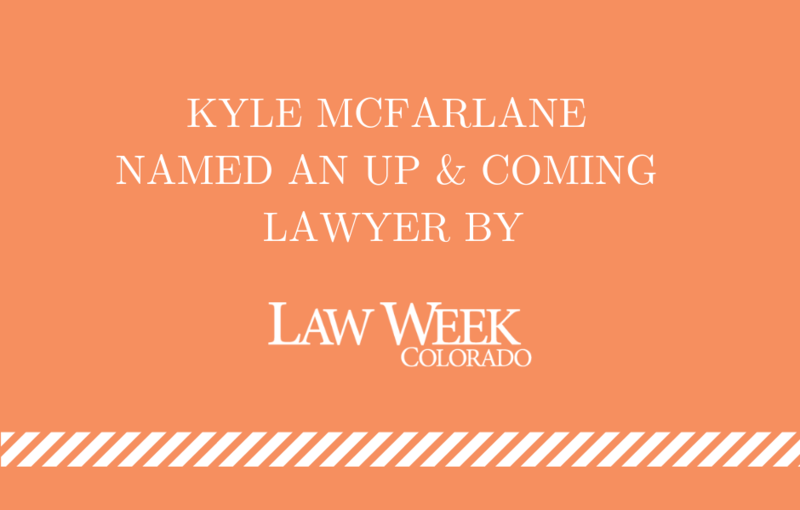 Kyle McFarlane, one of BAM PC’s founding shareholders, has been named an Up & Coming Lawyer by Law Week Colorado. Kyle is one of only seven attorneys honored by Law Week as an Up & Coming Lawyer out of hundreds of candidates considered. Up & Coming Lawyers honors lawyers who have been practicing five years or less and who have demonstrated outstanding leadership skills, achieved significant professional success, and are deeply involved in giving back to the community. Congratulations, Kyle on this fantastic achievement!